Our Cornerstone Café has a fantastic range of homemade snacks and lunches that are available to eat in or take away. 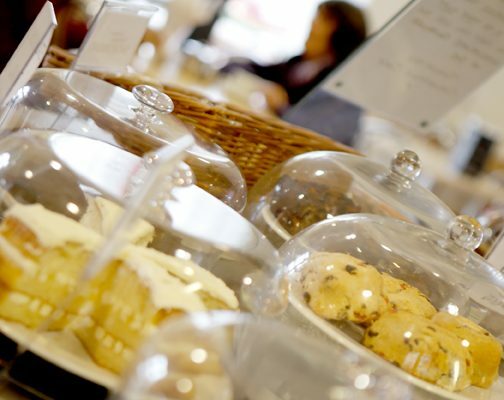 We also have a tempting selection of homemade cakes that go beautifully with a lovely coffee or cup of tea. We have a lovely courtyard garden to enjoy a friendly chat and meal. It’s also a great place for an informal meeting. We are very fortunate and extremely grateful to all of our volunteers from all over Milton Keynes who generously give their time to provide a friendly and welcoming environment in the café. Our in-house café means that we can offer a buffet menu for all events held at the church. This can range from a simple tea, coffee and biscuits to a fully catered event that can be tailored to your needs, and suitable to any budget.